In today’s modern world, more and more people are trusting in dental implants as the ideal choice for long-term smile reconstruction. It’s not hard to understand why, either – implants have an overall success rate of around 95%, and many new “teeth” last for a lifetime. The implant itself must be inserted into healthy jawbone, which is best performed by a highly trained oral surgeon like Dr. Moreland. 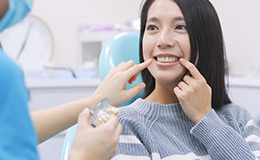 He will coordinate with the patient’s general dentist to ensure the most successful results possible, helping them regain a healthier smile and a reinvigorated quality of life in the process. Please contact our oral surgery office in St. Louis, MO if you have any questions or if you’re ready to schedule a consultation. Because dental implants are essentially designed to replicate a natural tooth’s root, they provide vital support to the jawbone structure and help preserve oral health well into the future. They also provide a sturdy foundation for the replacement teeth, allowing for optimal eating, speaking, and smiling throughout all of life’s little moments. The final results are so seamless functionally and aesthetically that you’ll likely forget they aren’t even natural after some time has passed. 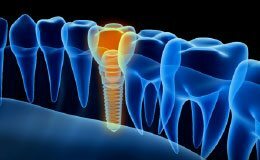 How Does Surgical Dental Implant Placement Work? After an initial consultation has helped Dr. Moreland determine whether or not a patient is a viable candidate for dental implants, the first major part of the treatment process is the surgical insertion of the implant (or implants) into the jawbone. However many implants he places will depend on the extent of the patient’s tooth loss and the type of restoration solution that will cover them. For instance, a single implant can rebuild a single tooth with an implant-retained dental crown or a bridge, while as little as four implants can be used to support a full denture. 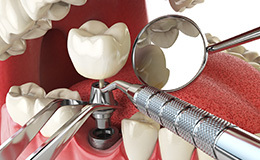 Once the dental implants are securely in place, a natural process known as osseointegration takes center stage. Your tissue and bone will gradually form around the biocompatible implant(s), creating a lasting foundation for the eventual replacement teeth. Finally, patients will return to their general dentist (or a prosthodontic specialist) to receive their custom-designed restorations, which attach over the top of the implants. When a patient is struggling with long-term tooth loss, bone deterioration becomes a serious concern that may make it more difficult to successfully position dental implants. 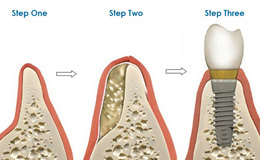 Thankfully, Dr. Moreland offers assistance in the form of bone grafting. Bone material will be harvested from another part of the body or a bank, and our team will ensure a smooth, comfortable transferal process that leads to success. We strongly recommend that you check with your dental insurance carrier to see if they offer any coverage for dental implant surgery. Additionally, many healthcare credit companies offer loans with very little to NO interest for certain medical procedures. Dr. Moreland and his team will be happy to help you explore your financial options and determine the best path forward before any actual treatment begins. It’s important to keep in mind that while dental implants may be an investment, they offer several valuable, lasting benefits that will make them more than worth it as time passes. For instance, patients will be capable of enjoying a full, balanced diet once more without chewing concerns, and their facial appearance will be better preserved as well. To receive an accurate price quote, please contact our St. Louis office today and schedule a consultation with Dr. Moreland. Dr. Moreland is the only oral surgeon in Missouri to offer zirconia implants to replace your missing teeth. As the world’s safest ceramic implant, you can rest assured you are making an excellent choice for your smile. The high-quality material has a long-term survival rate, added strength, and better aesthetic results when compared to titanium posts. Dr. Moreland helps you invest in your smile with a ceramic implant. The surgical placement of dental implants is a precise service that requires comprehensive and confident planning on the oral surgeon’s part. 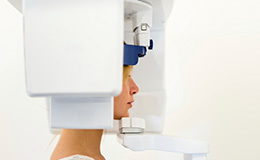 That’s why Dr. Moreland has chosen to invest in a revolutionary 3D Conebeam Scanner here in St. Louis. This technology creates three-dimensional, panoramic images of a patient’s skull and jawbones, capturing every detail down to the locations of facial nerves. This valuable information leads to a precise surgical guide that avoids potential pitfalls and leads to the greatest degree of success for the patient’s new teeth.